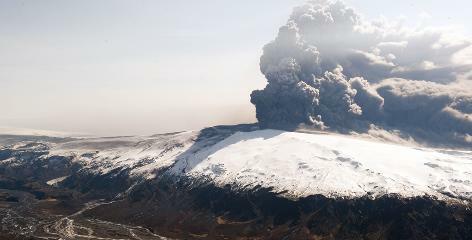 Jet Set Smart: Eyjafjallajökull VOLCANO...HOLY COW MOMENT!!! Silly me, but I just realized the other day that the Eyjafjallajökull volcano/glacier that's erupting as we speak in Iceland, is the same volcano/glacier that I climbed this past November! I kept on hearing the story on the news, but never thought it could be the same exact glacier...until Friday night when I pulled out my Iceland Tour Guide book and sure enough...it is!!! Read more about our Iceland Glacier Hike here. I kept on referring to the volcano/glacier as Skógar instead of its real name: Eyjafjallajökull. Skógar is actually the small Icelandic village located at the south of the Eyjafjallajökull Glacier. (Now you understand my "holy cow moment!!!") You know what else is funny, is that our Glacier Hike Tour Guide, Mio, kept on telling us while we were on top of the glacier that it was supposed to "explode any day now." We asked him how he would be informed if he was on a hike when it started to erupt and he said "he could get text messages on the glacier!" Wonder what his day was like the day it happened? 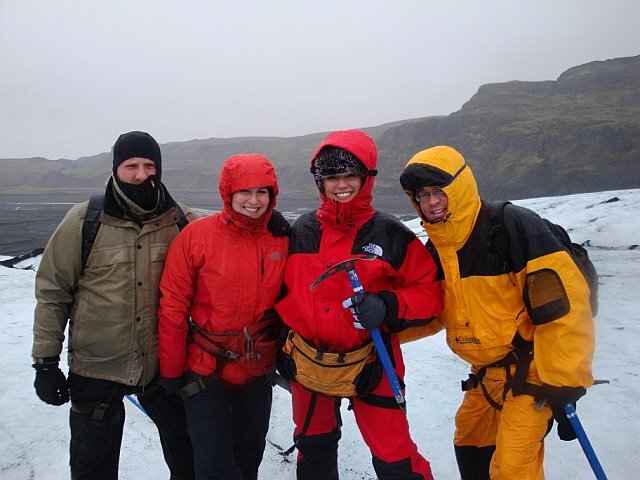 Anyway, I am still in shock that only five months ago, Pierre, Laura, Rich and I were on top of Eyjafjallajökull Glacier...and today this volcano/glacier is causing massive travel problems across Europe and is making global headlines daily!